"... 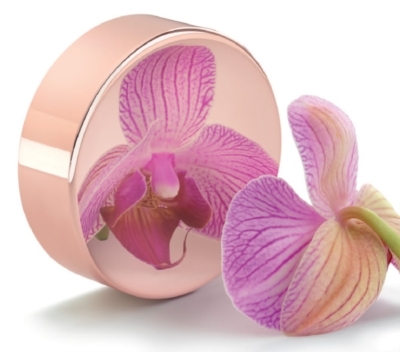 Global Solutions for fragrance and cosmetic packaging Electrolytic polishing Electrolytic polishing aims to increase the mirror effect of aluminium by reducing its roughness and homogenising its entire surface. Through electric energy and inorganic acids, a completely smooth piece is achieved, resulting in a superior polish and brilliance. Despite a higher investment and a longer type of treatment, the sheer brilliance with which it renders the pieces and the clarity of the image reflection is unparalleled. Which is why this type of procedure is used for items with a higher added value. Moreover, electrolytic polishing is much more environmentally friendly, as there is no gas emission. WHY OUR PRODUCT? Electrolytic polishing gives an optimum shine and image clarity. An environmentally-friendly method that involves a sophisticated treatment of the piece, eliminating every kind of irregularity and yielding a mirror effect beyond compare. Covit 20..."